Whether it’s an elegant solitaire diamond, a three-stone trilogy or a unique design, you are certain to find the perfect Shimansky diamond engagement ring that suits your style and reflects your love. Our collection of the most sought-after engagement rings in South Africa are crafted in the purest platinum and finest 18K gold, sealing your love forever. 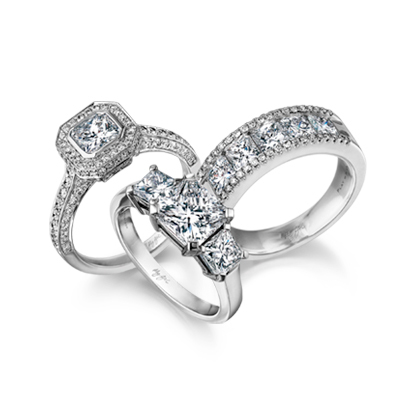 Learn more about Shimansky designer diamond engagement rings.